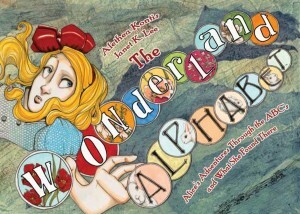 In the wake of World Book Night, please enjoy some fun poetry from The Wonderland Alphabet! To a land full of wonder, and madness, and tea. To slay the scourge of Wonderland. Much madness is divinest sense! And all ways here belong to me. This entry was written by Princess Alethea and posted on April 24, 2014 at 7:00 am and filed under Poetry. Bookmark the permalink. Follow any comments here with the RSS feed for this post.